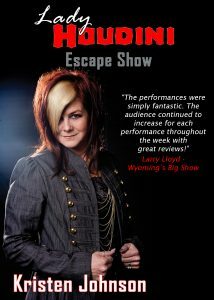 Kevin Ridgeway and Kristen Johnson are highly skilled magicians, illusionists, and escape artists. Their faces, names and skills are recognized by thousands of people around the nation and beyond. To have seen this dynamic duo in action, is to never forget them. Once you see their show, they are permanently etched in both your mind and heart. Guaranteed. 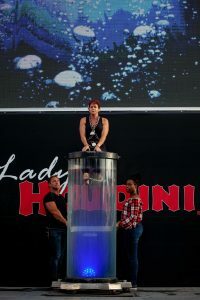 *On April 3rd and April 17th Lady Houdini will perform at 4:30 PM and 8 PM.